Ask Daniel Sturridge if he wants to be back in the England fold, and he’d undeniably say ‘Yes’. So in many ways, this is a rather selfish editorial from a Liverpool fanzine, but with good reason. The forward won the last of his 26 England caps against Lithuania in October 2017, but is being tipped for a return to Gareth Southgate’s squad following his excellent start to the season. England take on Croatia and Spain in the Nations League and Sturridge could bolster the attack after scoring four goals for Liverpool this season – one every 46 minutes. But the primary reason for Sturridge’s early success in 2018/19 (as well as his jaw-dropping talent, of course), is because his fitness has been managed so well by Jurgen Klopp and the club. Sturridge enjoyed a full pre-season for the first time in years. Klopp has made sure to use his striker fleetingly and is not demanding 90 minutes of intense pressing from the 29-year-old. Instead, he’s maximising Sturridge’s talents by using him sparingly in rotation with our front-three, which is so far working perfectly. Liverpool fans have every right to worry about a potential England call-up. 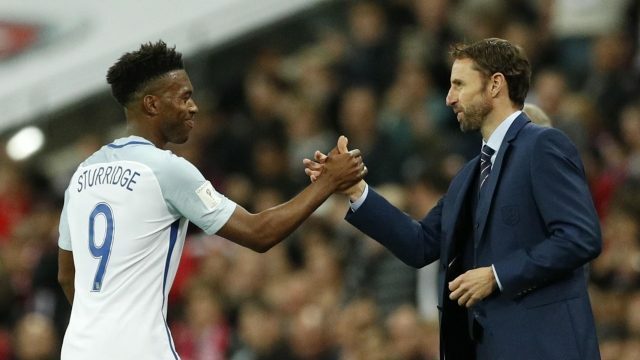 At the start of the 2014/15 season he got injured under Roy Hodgson’s guidance, after the former Three Lions boss ignored club advice to allow Sturridge an extra recovery session and instead made him train normally. The muscular strain kept him out for five months and was essentially the catalyst for his countless issues ever since. During the first international break this season, Adam Lallana picked up an injury from which he’s yet to recover this season, too. The Englishman hadn’t really played for Liverpool yet and the call-up was premature. If Sturridge continues to play and stays fit until 2019, we’d have no problem with him returning to the England set-up. But is there really any point risking it for what’s essentially two friendlies?